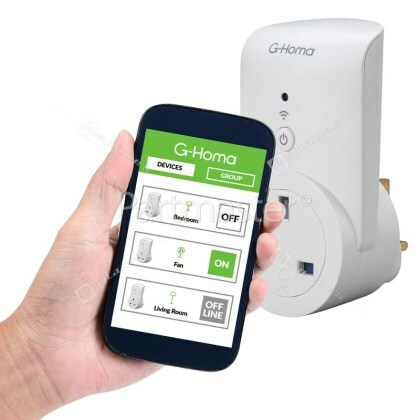 Introducing the G-Homa Wifi Smart Socket that connects your home wifi network to your appliances for easy control of home automation, energy saving and home security! 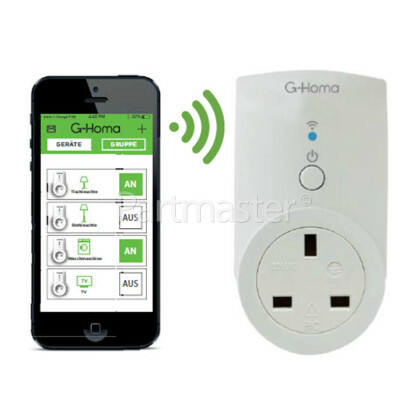 Thanks to the free G-Homa App you can now control any connected electrical appliance via your smartphone or tablet. So if you have forgotten to turn off the iron or the desk fan, now you can check and control them from anywhere. Wherever and whenever you can now choose to control the on/off, timer settings and group settings for your all your electrical sockets. The Wifi Smart Socket allows you to do more than just turn appliances on and off; it allows you to schedule your appliances to turn on/off at a certain day or week, thanks to its multi timer facility. This socket features an alarm function, sending an alert message to a registered email address or via an app push notification making it perfect for home security. The timer settings from the G-Homa app are also easy and convenient. Applicable both in Apple or Android systems, simply download G-Homa from APP store or Google Play to your smartphone, open the APP and follow the procedures to register your account with valid email address. It is capable of controlling any number of G-Homa Wifi Sockets aslong as the location is covered by your Wifi network. 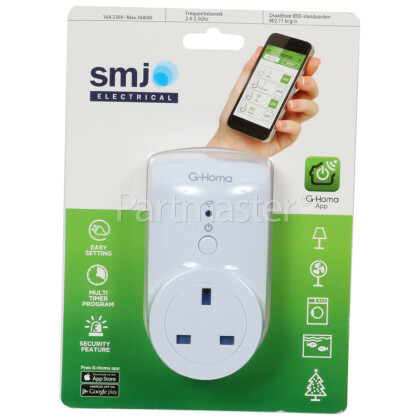 With the possibility to add multiple Wifi sockets to suit your needs, the G-Homa Wifi Smart Socket will help you save money on your energy bills!